Nubia launched its flagship device Nubia Z17 in the beginning of this month. It is undoubtedly one of the best smartphones of 2017 with sleek design and powerful specifications. Now, it looks like the company is working on the launch of the Lite version of the Z17 with watered-down specs. We say this as a Nubia handset bearing the model number NX591J has just appeared on the Chinese certification site TENAA. While we can’t tell for sure, it does seem to be the Nubia Z17 Lite. The TENAA listing has allowed us to take a look at its features and specifications. 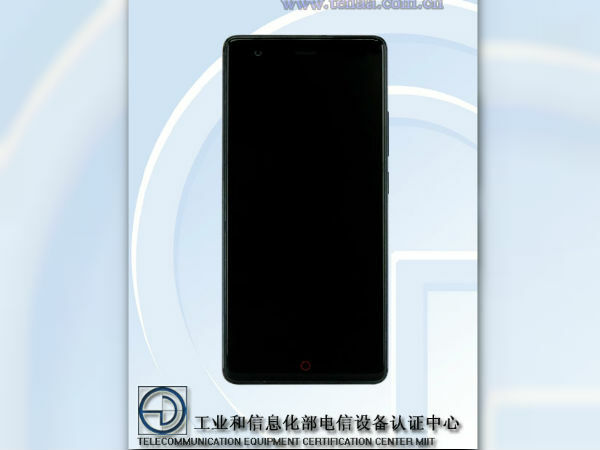 To start with, the alleged Nubia Z17 Lite measures 152.8×72.55×7.95mm and weighs at 169gm. It is said to come with a 5.5-inch TFT display that offers FHD resolution of 1920×1080 pixels. As seen from the image, the handset bears the company’s patent red circular Home Button. The rear part of the device features a dual camera setup placed in a horizontal housing along with a LED flashlight. You can also see the fingerprint scanner and the Nubia logo at the center. Under the hood, the Nubia NX591J is powered by an Octa-core processor clocked at 2.0GHz. Unfortunately, the TENAA listing has not specified the name of the chipset. In terms of storage, it is likely to have 6GB of RAM and 64GB of native storage space. Powering the device is a 3100mAh battery, which is not so bad given that Nubia Z17 packs a 3200mAh battery. Talking about optics, the TENAA listing has just revealed the main camera of the rear dual setup as 12MP. The front camera is listed as 16MP. As for the software, the smartphone is expected to arrive with Android 7.1.1 Nougat topped with Nubia’s own UI. In addition to this, we have also come to know that the alleged Nubia Z17 Lite will come in three color variants: Black, Silver and Gold. As of now, there is no word on the phone’s pricing and availability. However, we will let you know as soon as we get more information.